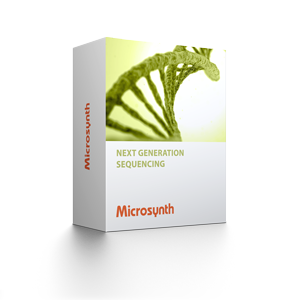 Microsynth has developed several bioinformatic modules in the genome sequencing area. The modules are used for our full service applications, but can also be used for bioinformatics only projects. These so called stand-alone modules can be extended with our complementary services. Sequenced reads are quality-filtered and mapped against the reference genome. Possible small insertions and deletions (InDels) and single nucleotide variations (SNVs) are detected and annotated including the effect of the variations on protein level. Example results of the microbial resequencing and profiling module. Sequenced reads are quality-filtered and mapped against the reference genome. Possible small insertions & deletions (small InDels) and single nucleotide polymorphisms (SNPs) are detected and annotated including the effect of the variations on protein level. Additionally structural variations (SV) and copy number variations (CNV) will be annotated. Example results of the eukaryotic resequencing module. DNA de novo assembly will be conducted with the assembler and parameter set most suitable for your sample. Potential contamination by bacterial/host DNA will be filtered from the reads prior to assembly. Example results of the de novo sequencing module. Reads are aligned against a protein reference database and phylogenetic, functional and ontology information is annotated. Beside sequencing results in fastq format the aligned and enriched data is provided in MEGAN-format facilitating seamless further analysis and data exploration with the open source community edition of MEGAN which can be obtained freely from the University of Tübingen. Example results of the shotgun metagenomics module. Host DNA (host reference sequence to be provided by the customer) is filtered and the remaining reads are de novo assembled. DNA de novo assembly will be conducted with the assembler and parameter set most suitable for your sample. Example results of the plasmid sequencing module.